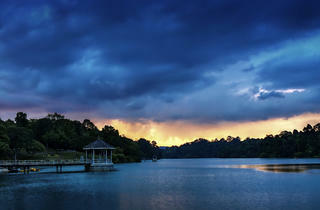 Singapore’s oldest and most popular nature park is a haven for joggers, families and weekend strollers; occasional free concerts are held on Sundays. 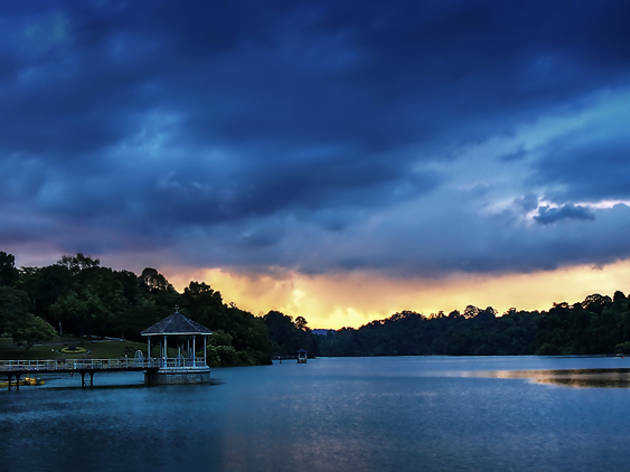 To get into the rainforest proper, the MacRitchie Trails around the reservoir offer easy boardwalk treks and ambitious hikes, ranging from 3 to 11 kilometres in length. Wildlife, from flying lemurs to tree frogs and pangolins, is abundant but rarely seen. Long-tailed macaque monkeys are more common, but be wary: some can be quite ferocious, as they’re used to being fed by irresponsible visitors. A highlight is the HSBC TreeTop Walk, a suspension bridge positioned 25 metres above the forest floor, which connects the two highest points in the reserve and offers splendid panoramic views. Depending on where you start, the round trip is 7 to 11 kilometres (about 3-5 hours walk), and graded in parts as ‘difficult’ – so attempt it only if you’re fit and properly equipped. Traffic on the bridge is one-way, so there’s literally no turning back. There are toilets, but bring your own water, food and insect repellent.